Description : Give your weapon +2 Attack. 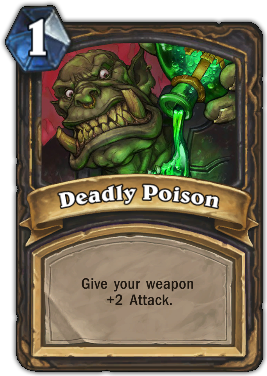 Quote : Rogues guard the secrets to poison-making carefully, lest magi start incorporating poison into their spells. Poisonbolt? Rain of Poison? Poison Elemental? Nobody wants that.